e-MERLIN is open to proposals from the international astronomical community on the basis of scientific merit alone. Proposals are submitted during Cycles (currently advertised twice per year) during which time e-MERLIN invites the scientific community to submit experiments. Once a proposal is submitted it is competitively peer-reviewed by the e-MERLIN Time Allocation Group (TAG) under standard STFC rules. If the proposal successfully wins time with e-MERLIN it will be graded and forwarded to our team of schedulers who will use the graded priority to construct an appropriate schedule for queueing. You will not need to write a specific schedule yourself, although a member of the team may contact you to discuss any special requests. For example, amplitude and phase calibrators are determined by schedulers, unless you specify otherwise. 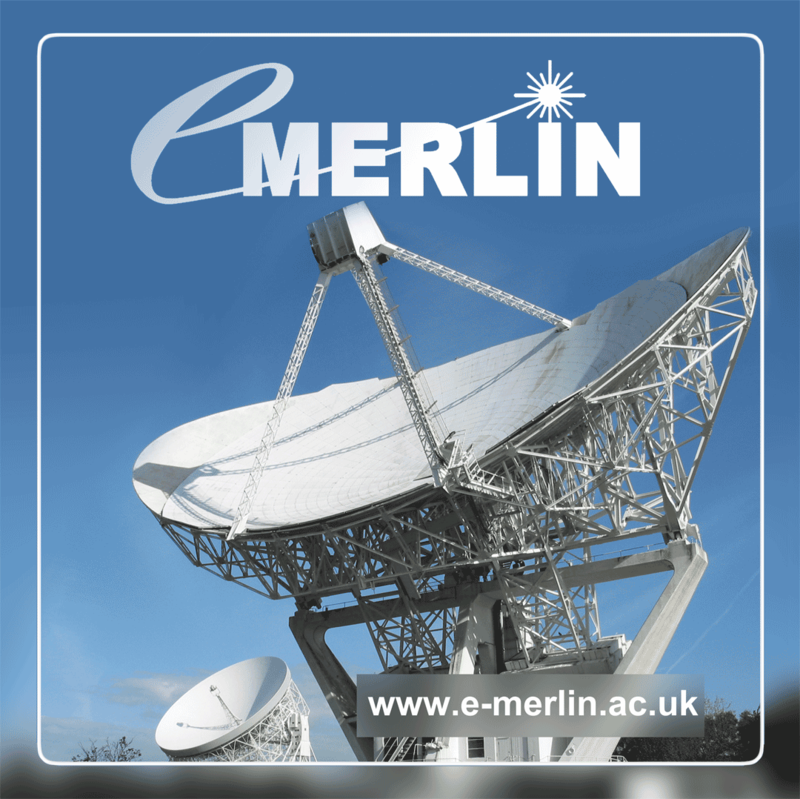 e-MERLIN uses dynamic scheduling, meaning that the highest graded project does not necessarily mean it is the first observed, but rather it is optimised depending upon telescope availability. 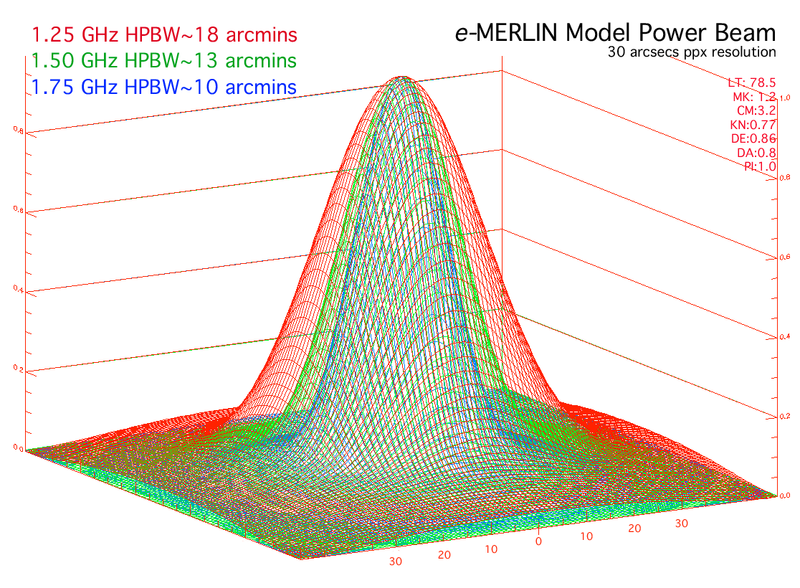 If you require e-MERLIN to be used within the European VLBI network, then your proposal should be submitted to the EVN instead, with a specific request to include e-MERLIN baselines. The data would be then correlated at the Joint Institute for VLBI (JIVE). K-Band (19 - 25 GHz). Proposals can include any of these bands and may also request inclusion of the 76 metre Lovell telescope (except at K-Band), although this requires a demonstration of its necessity due to its more limited availability. This is the standard observing mode for e-MERLIN, and the most requested by observers around the world, producing sub-arcsecond resolution images with micro-Jansky sensitivities. It is available in all three observing bands: L, C and K. Typical specifications for expected performance for a standard phase-referenced observation are listed in the following table. It assumes a standard 7 minute target and 3 minute phase-calibrator cadence throughout the integration period, with typical fractions of flagged data due to sporadic RFI etc. Note that the inclusion of the 76 m diameter Lovell telescope approximately doubles the sensitivity of the array (except at K-Band), however, due to its narrower beam-width, the field of view is approximately halved, depending on the weighting scheme adopted in imaging. 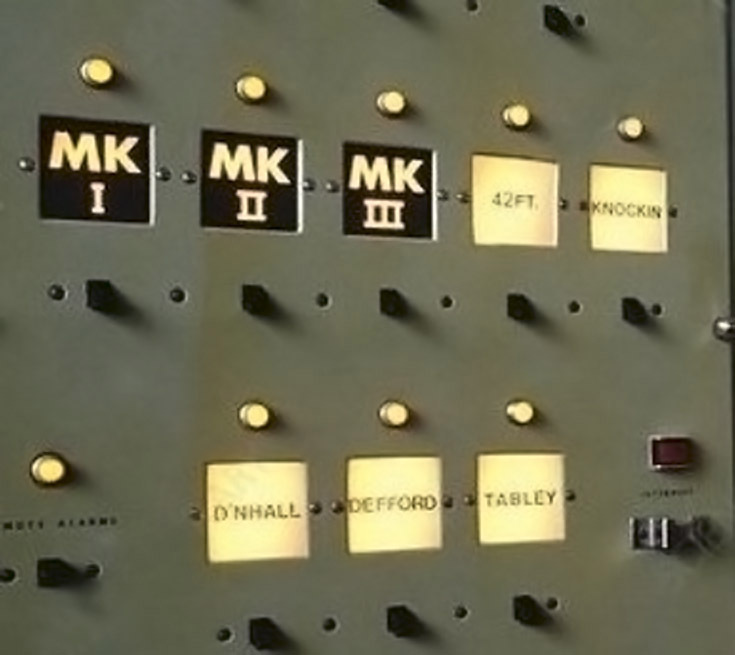 The default correlator set up is for optimal band coverage, dividing its 512 MHz of bandwidth into narrow enough channels to minimise bandwidth smearing (<10%) at the edge of full field-of-view images. Similarly, correlation averaging time is defaulted to 1 second to minimise time-smearing. Each band is divided into contiguous spectral windows (SPWs or sub-bands) within the correlator, with each spectral window divided into 512 equally spaced channels. Hence, to maintain minimum smearing, L-Band is divided into 8 spectral windows, whereas C and K bands are divided into 4 spectral windows. In addition to these continuum bands, extra spectral windows can be placed within continuum spectral windows allowing high frequency resolution sub-bands to be overlaid, ideal for spectral-line observations. Hence continuum observations can be observed simultaneously with spectral-line measurements. 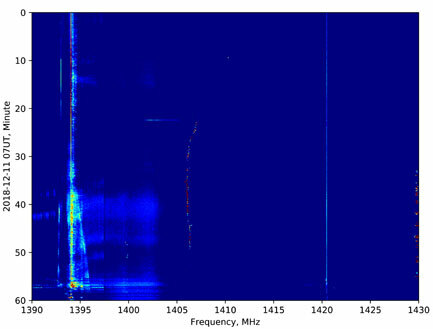 The above figure illustrates 8 continuum spectral windows (SPWs), placed across L-band (1.25 - 1.75 GHz), with 5 additional high-frequency-resolution spectral-line windows covering frequencies at which spectral lines are expected. These are particularly useful for observing MASER sources. Spectral-line mode correlator capabilities are described in the table below, illustrating that additional SPWs must be divided into continuum windows as an integer fraction of a power of 2. The bandwidth is divided by factors of 2n into spectral-line windows which can be the same width as one of the continuum SPWs, or smaller by a factor of 2n. However, spectral-line windows cannot overlap continuum SPW edges. In most cases of Direct Correlator Imaging, it is normal to accept default correlator settings for continuum windows, and then specify the positions of the spectral-line windows on-top of them. You can simply specify the lines required in your proposal and let the e-MERLIN scheduling team determine the appropriate placement and any necessary Doppler VLSR correction as these depend on the exact time of observation. Frequencies affected by RF interference include 1450-1520, 1310-1340 and around 1390 MHz. These frequencies are not always unusable but please consult e-MERLIN support if you wish to observe red-shifted lines within these ranges. The actual spectral resolution may be broader if Hanning or other smoothing is applied. The sensitivities below are given for the optimum central part of the band and will degrade towards the band edges. Bright emission in narrow channels will be more dynamic-range limited. About 10% of edge channels within each band may have lower sensitivity if the SPWs are not placed optimally. In the following example we wish to observe HI and OH absorption lines for a source placed at redshift z=0.09. Suppose the target has HI absorption of up to 10 mJy per e-MERLIN beam at redshift ~0.09, and spans about 500 km/s, against continuum of up to 100 mJy/beam. A spectral resolution better than 10 km/s is needed. 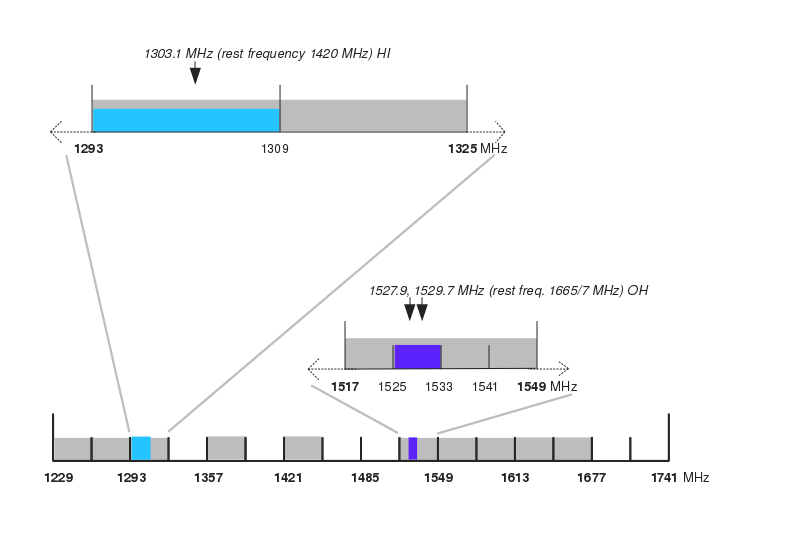 The observing frequency for the 21-cm HI line is about 1303.1 MHz. A 16-MHz SPW in 512 channels will give about 7 km/s channel separation and a 3-sigma sensitivity of 1.4 mJy/beam per channel in 24 hr on target with the Lovell. The total velocity span in this SPW is ~3400 km/s. We centre this, slightly asymmetrically, on 1301 MHz, which still gives over 1300 km/s on the closer side of the HI line. This is to allow the OH 1665- and 1667-MHz lines to be fitted in optimally. At this redshift, they have observing frequencies of about 1527.9 and 1529.7 MHz, respectively. A spw of 8 MHz centred at observing frequency 1529 MHz will give a velocity span of more than 1500 km/s with a channel separation of 3 km/s, sensitivity 2 mJy/beam under the same conditions as the HI. The velocity width for each line is at least 500 km/s both above and below the central velocity. The remaining spectral windows will normally be used for continuum. For uncorrelated observations, the correlator is placed into 2-bit VDIF Mode in which it resamples the data into VDIF format at the full temporal resolution of the samplers. This enables raw uncorrelated data to be stored for subsequent processing e.g. later correlation or time-stream analysis. As well as using this mode for Pulsar observing, this is how e-MERLIN is used within the European VLBI Network (EVN). 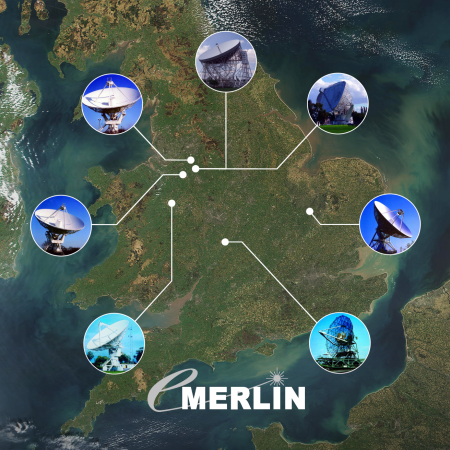 All e-MERLIN telescopes can be used within the EVN simultaneously, either with data traditionally stored on disk arrays at JBO, or streamed live with correlation at JIVE using wide-band fibre links. The invitation for observing proposals closed on 22 November at 23:59 UT. The next Cycle will open in Spring 2019. Can't wait? For exceptionally urgent observations consider submitting a Director's Discretionary Time Request (DDT). Proposals require both scientific and technical justification. 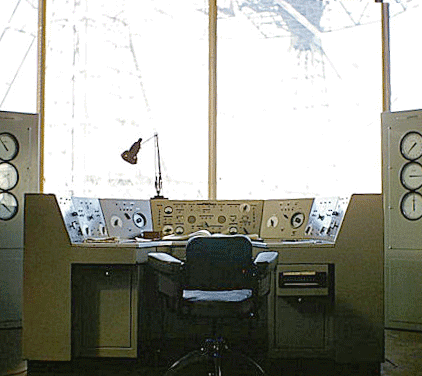 To help you get the best from e-MERLIN and your experiment, we have developed an observation simulator. An online observation tool, in which hypothetical e-MERLIN observations are simulated, returning calculated UV coverage, phase referenced correlated maps as well as deconvolved images as FITS or MS format files. The proposal tool is where you can compose and store your observing proposals, including defining targets and text for both scientific and technical justification. If you wish observe with e-MERLIN as part of the European VLBI Network, then a proposal to the EVN is required with a request to include e-MERLIN baselines. The EVN Time Allocation Group examine such requests during EVN proposal calls. 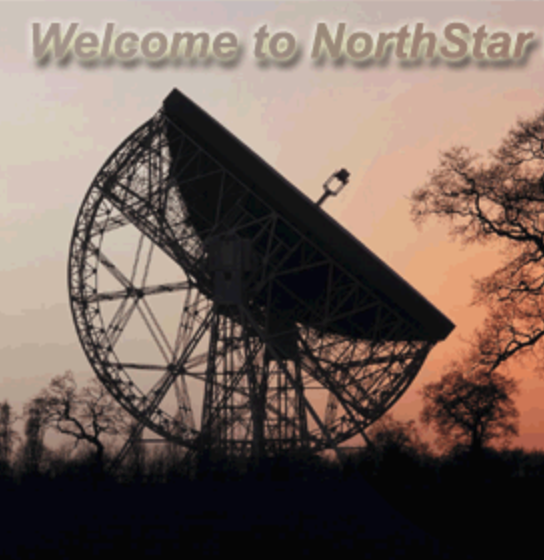 Radio telescopes co-exist with numerous sources of modern RFI, from mobile phones to satellite transmissions, which our software attempts to remove. We have dedicated personnel who use sensitive monitoring equipment to ensure that all observations are as clean as possible. If you are proposing a spectral line observation and are unsure of potential RFI impacts, then please feel free to contact our support team. e-MERLIN is a heterogeneous array and hence telescopes differ naturally in performance and sensitivity at different wavelengths. 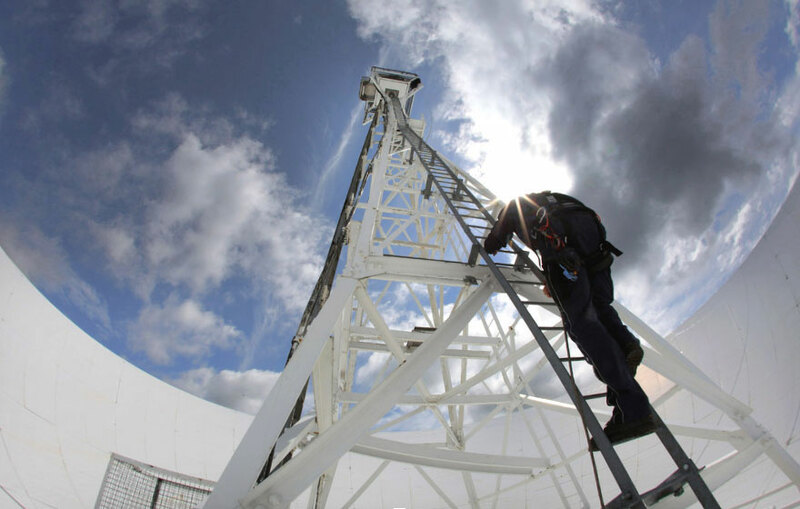 Our RF, Fibre-link, Receivers and Electrical Engineering Teams are experts at getting the best from all e-MERLIN telescopes employing System Equivalent Flux Density (SEFD) monitoring and a programme of continual improvement. e-MERLIN operates an array of seven telescopes and requires that most telescopes are observing for most of the time. Our dedicated engineering team use an carefully planned maintenance schedule which is decided in concert with our schedulers to ensure an optimal observing strategy. For example, A-priority observations usually need the full array, whereas B-priority observations may not require all telescopes for a successful observation. This is an example of dynamic scheduling.